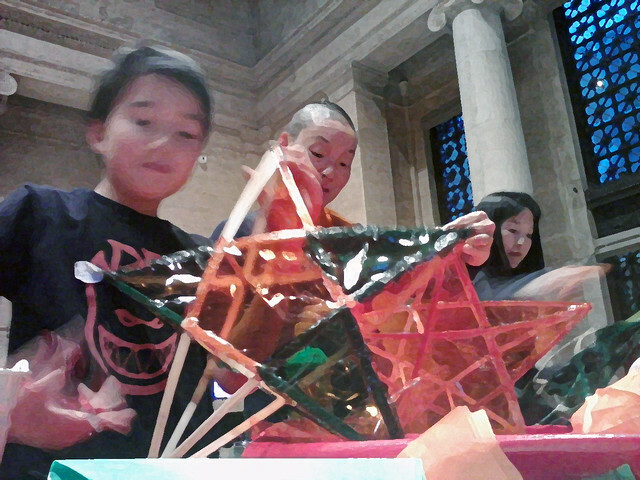 Yesterday I visited the Asian Art Museum in San Francisco and stumbled into a free parol making workshop. 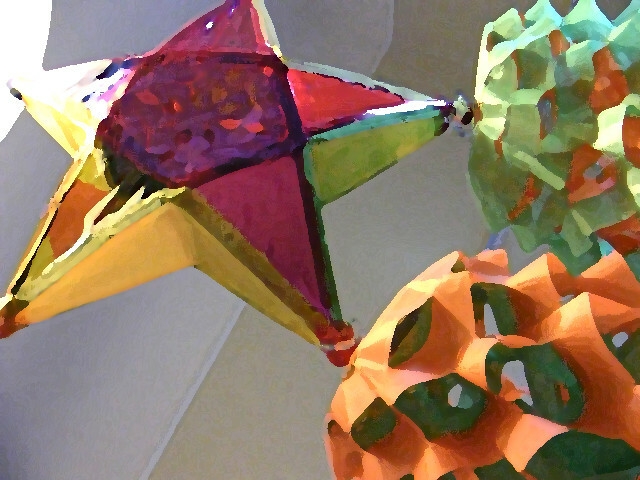 Parols are star shaped lanterns central to the Filipino celebration of Christmas, just as Christmas trees are to western European and American cultures. According to Wikipedia, the parol is a cross between the Chinese lantern and the Mexican piñata. It symbolizes the victory of light over darkness, and the Filipinos' hope and goodwill during the Christmas season. I had a great time making one. The museum provided all the materials, and there were many kind volunteers from the Filipino community to guide us. I was feeling kind of bummed that I didn't have my ornament collection with me in San Francisco or any holiday decorations in my space. Little did I know that all I needed was my very own parol for a little Christmas cheer. Shared diversity is what makes this city so interesting, and at times, full of grace. Photos 1 & 2 by Bret Putnam.